The Medicines and Healthcare Products Regulatory Agency regulates medicines, medical devices and blood components for transfusion in the UK. Recognised globally as an authority in its field, the agency plays a leading role in protecting and improving public health and supports innovation through scientific research and development. Promoting public health by helping people to understand the risks and benefits of the products they use as well as improving public health by facilitating the development of products that will benefit people are at the heart of what the MHRA are aiming to achieve. Helping to educate the public and healthcare professionals about the risks and benefits of medicines, medical devices and blood components, leading to safer and more effective use. Supporting innovation and research and development that’s beneficial to public health. Influencing UK, EU and international regulatory frameworks so that they’re risk-proportionate and effective at protecting public health. 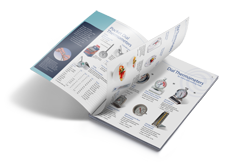 Within the healthcare industry temperature monitoring and recording is a critical for key areas such as blood banks, labs and storage of medicines. Compliance with MHRA and CPA (Commonwealth Pharmaceutical Association) regulations are key and Comark have been working with the MHRA to ensure that their monitoring systems meet these regulations. 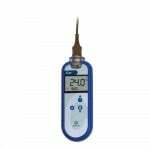 Building on the platform laid down by our Food Thermometers, Comark has a range of rugged Thermometers for all your Industrial Applications. Use Comark Industrial Thermometers and Temperature Probes for a range of applications which include scientific research, pharmaceuticals, public health, horticulture, building management, manufacturing, H & V and refrigeration. 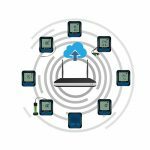 Comark offers a range of static monitoring solutions for logging temperature and humidity data, from small battery-operated data loggers to professionally installed wireless monitoring systems. Find out more and see which solution works best for your needs.